A radical change of humanitarian and development assistance is needed. The business model of the current aid system is outdated, inefficient and does not achieve its objectives. Aid has not relieved any country or population from poverty and has not succeeded in addressing the root causes of desperate migration. As a corollary, the narrative on refugees and migration needs a radical shift of paradigm comprehending flows as an opportunity for change. Desperate migration is a potential trigger for both positive change for receiving communities and for people on the move. Supporting and managing these demographic changes is not a threat but a necessity. The concept of voluntary return to the place of origin as the preferred solution for a refugee is subject to challenge by processes of urbanisation and digitalisation. In his public policy lecture at CEU, Kilian Kleinschmidt will argue that we should invest in economically sustainable cities and special development zones rather than in refugee camps, planned and led by urban planners and economists, providing for social cohesion and economic development. Innovation and process optimization, connecting and matching technological, social, financial and spatial innovation with the needs, talents and skills of the dispossessed is the way forward. We need to connect the global poor with the real economy, shifting from a logic of charity to a vision of social and economic connectivity enhanced by the power of digitalisation. 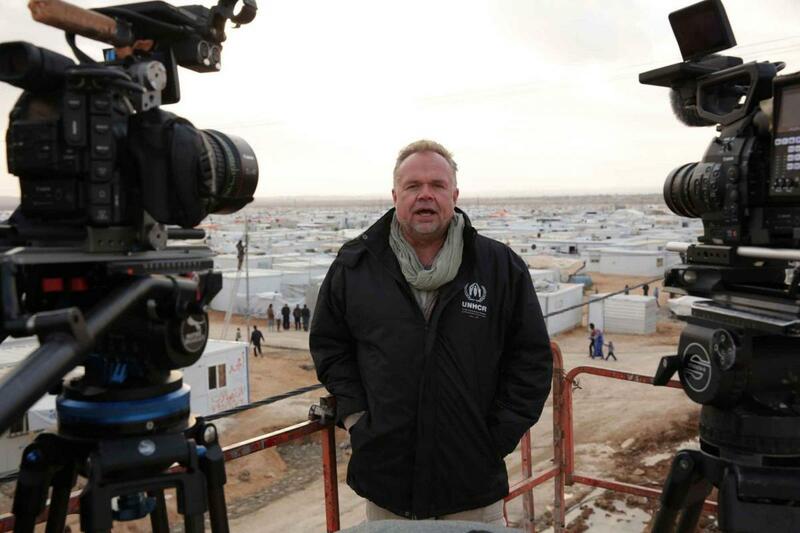 Kilian Kleinschmidt is a humanitarian and refugee expert with over 25 years of experience in a wide range of countries, emergencies and refugee camps as United Nations official, aid worker and diplomat. He is the founder and Chairman of the startup Innovation and Planning Agency (IPA) which aims at connecting millions of poor and disadvantaged with relevant and under-utilized resources and modern technologies of the 21st century through its project SWITXBOARD. He is currently developing a number of ventures which aim at sustainable investment in very fragile environments. He most recently became known as the ‘Mayor of Za'atari’ when he managed the refugee camp in northern Jordan from 2013-2014 on behalf of UNHCR. Za'atari has become a symbol for new and innovative approaches in refugee and humanitarian management under his leadership. He is now challenging the humanitarian aid sector through a range of new and unorthodox partnerships, technologies and ways of financing. His work on emerging cities and urbanization of refugee camps is widely recognized and team building and leadership in crisis situations are a focus of his work. Previous senior roles included Deputy Humanitarian Coordinator for Somalia, Deputy Special Envoy for Assistance to Pakistan, Acting Director for Communities and Minorities in the UN administration in Kosovo, Executive Secretary for the Migration and Refugee Initiative (MARRI) in the Stability Pact for South Eastern Europe and many field-based functions with UNHCR, UNDP and WFP. He worked extensively in Africa, South Eastern Europe, Pakistan and Sri Lanka and during the European refugee crisis and advised the Austrian Ministry of Interior on refugee reception. Most recently he was a Special Advisor to the German Minister of Development on Refugee issues. In 2017 he developed a strategy on stabilisation of migration flows and development in Africa for the Austrian government. Currently his team and network are working on new approaches to the stabilisation of Libya. He is a distinguished public speaker in conferences, TEDx and other events.